Glintbay is committed to offering quality, affordable replacement lenses, our lenses are specifically and precisely cut to fit perfectly into your Costa Del Mar frames. All of our lenses offer full protection from the sun and block 100% of UVA, UVB and UVC rays. We will grow up with you, your satisfaction is our first priority and our team is always ready to help you with any of your questions before and after your purchase. Glintbay believed that good product is the first step to success, also we have been to provide customers with the best user experience and after-sales service. *100% UV400 eye protection against UVA, UVB and UVC rays. *Harden Coated & Repel coating against dust and water. *Exclusive manufactured and HD-mirror coating lens, perfectly reduce glare & enhance contrast. *Meet and exceed impact resistant safety standards. *Purchase does not include frame. *1 Year Warranty against manufacture defects. *Efficient and effective customer service (responses within 24 hour). *100% Satisfaction, 60 days money back guaranteed! *Lenses fit Costa Del Mar Blackfin sunglasses, please confirm your model number which is marked on your frame before placing orders. 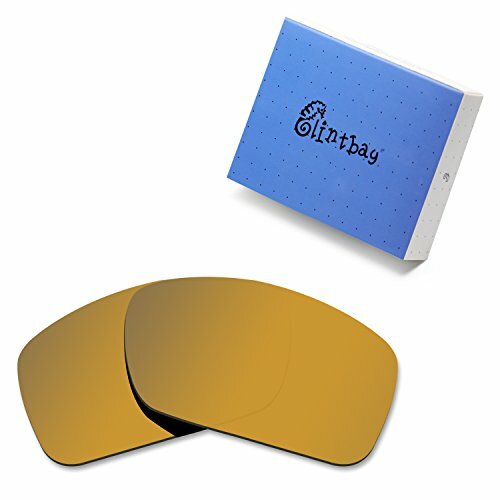 Glintbay replacement lenses are designed to fit for Costa Del Mar sunglasses, not affiliated with Costa Del Mar Inc. in any aspects, and any usage of Costa Del Mar trademarks is only to describe those products. If you have any questions about this product by Glintbay, contact us by completing and submitting the form below. If you are looking for a specif part number, please include it with your message.